The blog has been quiet of late which reflects that I’ve also been taking things at a slower pace. Dad’s recent passing has been sad for the family and he has left a big hole. I wish he had been able to spend more time at the Convent and enjoy the garden. When I returned home, there were some fairly drastic changes to the garden. Before leaving, the plants were slowing down but everything was still lush and the roses still (just) flowering. 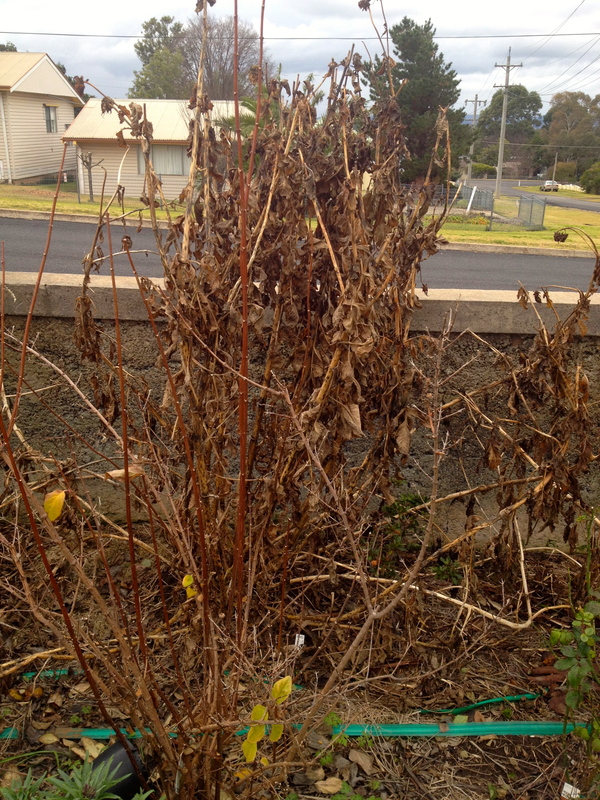 Upon coming home, the cruel Winter frosts had hit and the garden had turned to yellow and brown. My natural instincts are to prune and tidy, but the dead growth actually protects other plants and I don’t want to encourage new growth yet when we still have much of Winter to come. So for now I’ll just focus on building up garden beds and compost and leave the plants alone. 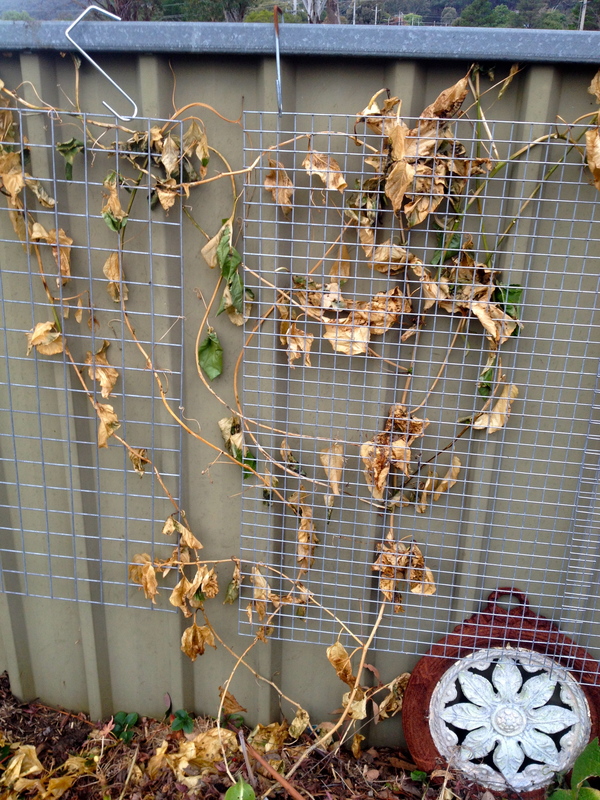 The passionfruit has looked better. The Dahlias definitely don’t appreciate frost. One of the brighter moments was my first egg. The girls have done me proud and now most days I seem to find an egg or two – quite unexpected given I was told they were young and not to anticipate eggs in Winter. For now, pace has slowed down a bit with long cold days, which suits me at present. 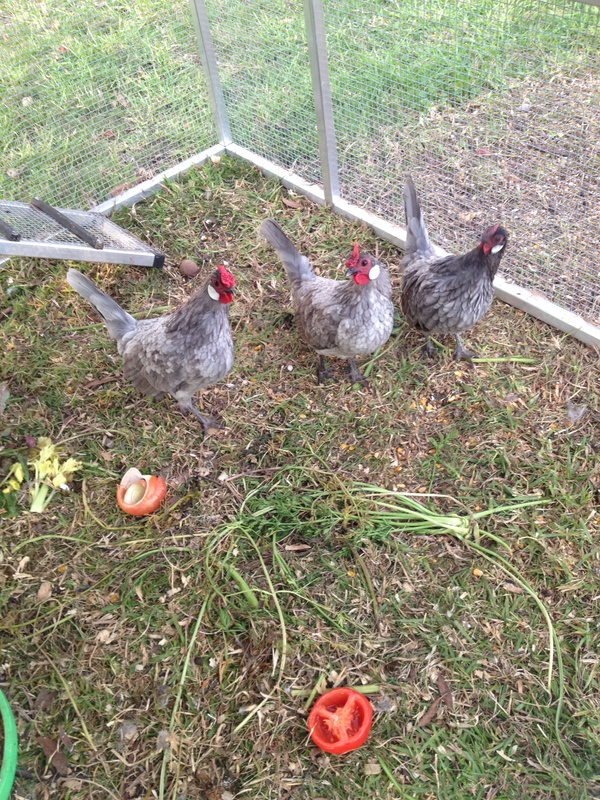 My girls – four rose comb bantams – in their chook tractor. 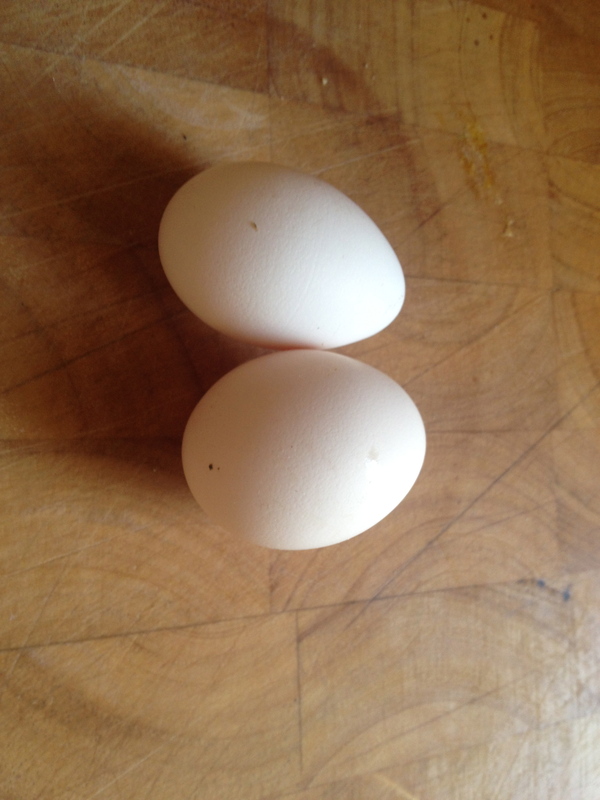 Two perfect little bantam eggs. Sorry to hear about your dads passing. Thanks Annie. Never easy and no surprise, but doesn’t make it less hard when it happens.